It is an inevitable truth that Laravel development is one of the finest PHP frameworks of modern times. It has not been into this field for long, but still the superiority of laravel developer is something, which is hard to ignore. With help from our reputed team at Alliance International IT, you will learn everything possible regarding our best laravel development company and the kind of services we have. Laravel has become quite a demanding framework these days. So, we would like to help you in learning a lot more about laravel services, to be used later for your business growth. Laravel is currently known for its extension ability, fast development speed and even quick institution. Our team is experienced enough to handle some of the best developmental projects, revolving around this framework. Our developer are experienced enough to use various kinds of programming frameworks. We would like to work with our clients using the best framework, suiting their business model. That’s what makes us completely different from the rest, as we like to explore the unexplored sides of PHP framework. There are massive reasons to use Laravel PHO framework. It is mostly built with complete focus of writing some code syntax. This is completely expressive and simple, at the same time. 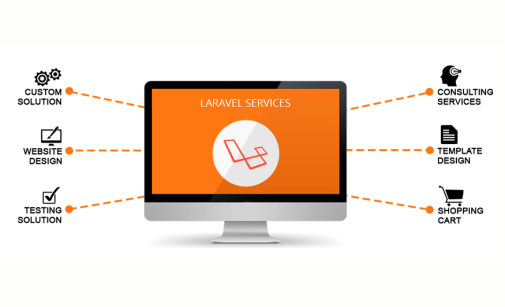 Our Laravel development procedure helps in building a framework with a focus of your business in it. The main aim is to help enhance the value of your PHP framework first with maintainability, better code foundation and some robust features. The results are undeniably strong, and with quality aspirations to deal with. With the help of our Laravel tool, you have the liberty to manage some of the third party packages of said applications. If that’s not enough, you get to enhance flexibility to developers. That will help them to create some enterprise applications from some of the small sites. Our Laravel application comprises of object oriented library. This cannot be found in any of the other frameworks. It has a significant auto complete feature, mostly revolving around Laravel framework. From restful routine to application logic, there are plenty of options available, around here. The field of laravel development comprises of application logic. It is a major part of developed application, used by controllers or route declarations. We have special auto loading providers. They help in automated loading of PHP functions without any manual interference. Thanks to our team, now working on the best auto loading services does not take much investment from your side. Another important aspect of Laravel is revolving around unit testing. It comprises of large number of tests, used for preventing and detecting regressions. We have a special group of auto loading providers, helping you with automated PHP class loading. You are free from using any manual labor here and prevent spending any money for new employees. Thanks to out automatic pagination, we have successfully simplified the work of implementing pagination into Laravel. Our team has restful controllers, ready to offer optional way of separating POST requests from HTTP GET. Our laravel packages are bundled into modular packaging system. It can provide easy multilingual services, too. We have a special section of Lavarel controllers. Also known as route declarations, laravel application development comes handy with proficient use of syntax. Through this way, the application logic can be well incorporated within the said web apps. Our team would also like to present you with restful routing. It further helps in connecting resources and even gets to manage some server or client routes. Laravel is not a simple or easy to understand task. It comprises of various packages for you to deal with. So, it is mandatory for you to get along with our team from Alliance International IT, and learn a lot more about it. 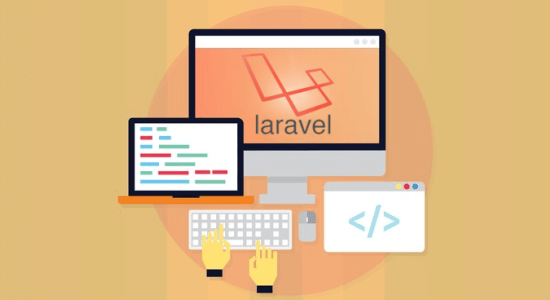 We have a well-trained laravel programmer, ready to help you in the best manner possible. Our team would like to offer help with Laravel web development and template design. Furthermore, we have a separate team of experts, working on extension development and package designs. Call our team for the finest Laravel integration and customization. We have separate e-commerce development and data migration, to work for your Laravel programs. Join hand with our team for finest laravel app development strategies. These stages might differ from one to another. We have a separate mobile app development package, meant solely for the Laravel users. Working on a new PHP framework like Laravel can prove to be a great task. It is crucial, and quite complicated. So, make sure to get along with the best developer over here from our side, for desired help.